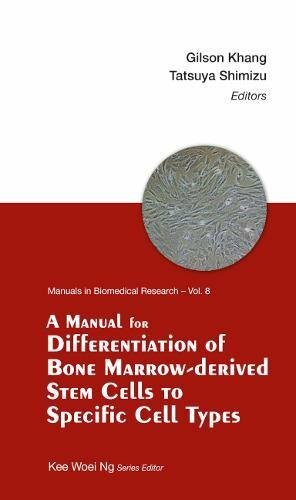 This is the first experimental protocol book that covers the differentiation of bone marrow-derived stem cells (BMSCs) into specific cell types, targeted at the undergraduate and graduate student level. The 19 chapters deal with the differentiation methods using small molecules, cytokines and polymeric scaffolds. BMSCs are pluripotential in that they not only act as myelo-regenerative and supportive cells, but can also differentiate into almost any kind of cells in our body. In addition, when implanted in vivo, they could help repair multiple tissues such as blood vessels, heart, liver and so on. For the differentiation of BMSCs, many methods have been introduced to adjust their microenvironment (chemical and physical cues), including chemical induction methods using large or small molecules and pellet culture; mechanical stimulation induction methods using cyclic mechano-transduction or ultrasonication; cytokine-released method using scaffolds; and so on. Readership: Undergraduate and graduate students and researchers in biomedical engineering, tissue engineering, stem cell research, nanotechnology and material science. This entry was posted in stem cell research and tagged Biomedical, Bone, cell, Cells., Differentiation, Manual, Manuals, MarrowDerived, Research, Specific, stem, Types, Volume. Bookmark the permalink.